Anti Gimmick Health: Ac"cell"erate Your Health! Have you heard that the human body contains a trillion cells? Well, you heard wrong. Modern estimates are that your body contains between 50 and 100 trillion cells. However, if you are like me, and you don't always have a pocket protector, a slide rule and a few mechanical pencils handy at all times, you hear these kinds of numbers and really have no real concept of what a trillion is, much less a mind boggling 50-100 trillion. Let me use an example I found using seconds of time as a way to help us grasp these kinds of numbers. A second goes by pretty fast, wouldn't you say? Well, a 1,000 seconds ago was about 17 minutes. A million seconds ago was about 12 days past and 31.7 years ago would be a billion seconds in the past. A trillion seconds ago you could be sharing space with a mastodon (no feeding or petting please) because you would have gone back in time 31,709.8 years. 50 trillion seconds ago (don't miss the first appearance of mankind on earth as we pass) is approximately 1,585,000 years ago. Are your 100 billion brain cells boggled? Mine are strewn about the room utterly exhausted. Now that we've learned a little about these mind blowing numbers, let's discuss numbers a little more comprehensible. There are about 200 different types of cells in each of our bodies. 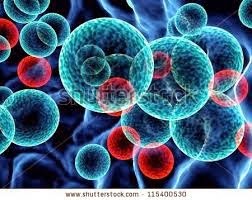 Each cell is constantly, day and night, working to take the fuel we provide and the oxygen we breath (metabolism) to produce the molecules for its survival and to do its job in a never ending, at least till shortly after our death, cycle of replication, production and death of the cell. This ongoing process, just like most industrial processes, produces toxins called free radicals. (No, these are not the un-bathed, dope smoking protesters camped out at your local park.) The build up of these free radicals is called oxidative stress, and it can do a great deal of damage to our cells and therefore our bodies. Combine this with the fact that we are constantly exposed to chemicals, pesticides and toxins of varying types, and we can begin to understand the aging process and how our bodies can become ill and diseased. It is important to know and remember, that all disease begins at the cellular level. Thankfully, our bodies do have defenses. There are several defense mechanisms that our bodies use, but one of the most important, and really the only one we have any control over, is our bodies use of antioxidants. Antioxidants are the major weapon our bodies use to defend against oxidative stress. This quote by Andrew Weil, MD explains this well. "A good case can be made for the notion that health depends on a balance between oxidative stress and antioxidant defenses. Aging and age-related diseases reflect the inability of our antioxidant defenses to cope with oxidative stress over time. 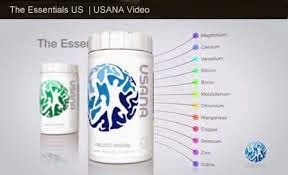 The good news is that with strong antioxidant defenses, long life without disease should be possible." Eat as healthy and varied a diet as you can with lots of vegetables and fruit, while avoiding processed foods as much as is possible. Try to eat things that are whole and as close to their natural state as you can. However, perfection is not possible and probably not desirable. Don't become that person that nobody wants to go to dinner with. As a suggestion, shoot for a 80/20 ratio. You can do that! Right? Drink more water. Very few of us consume proper amounts of liquid each day. Drink more water, tea, coffee. Just be careful with the sugar and artificial sweeteners. Yeah, even a beer or glass of wine or two, if you're so inclined. Healthy isn't boring, it's fantastic!! 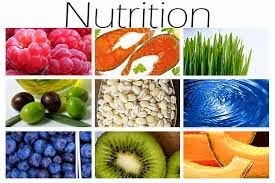 These, of course, aren't the only ingredients for a healthy life, but these three are vitally important to optimal, cellular health, and they are simple things that each and everyone of us can do. To long life without disease, Cheers!